Ken Burns, award-winning documentary filmmaker and creator of The Civil War, brings personal stories, insightful interpretations and behind-the-scenes perspectives to Most Hallowed Ground, one of Tauck’s Civil War tours. 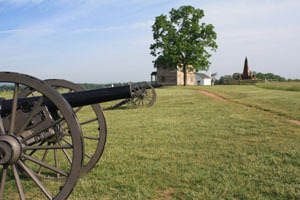 This 11-day trip chronicles some of the most pivotal events and venues of the Civil War, highlighted by guided visits, living history reenactments and unique access to some of the war’s most significant sites; private presentations and talks by experts in their fields, from history to music and more; a behind-the-scenes experience at the National Archives with an archives expert; and an interactive experience during which guests assume the identity of an actual Confederate or Union soldier. Film vignettes by Burns offer his unique perspectives on the terrible conflict and its pivotal role in shaping the nation we live in today. Sharing fresh insights to accompany images from his documentary, The Civil War, Ken’s vignettes enliven travels in Washington, Gettysburg, Harpers Ferry, Charlottesville, Appomattox and Richmond. Most Hallowed Ground begins by fast-forwarding to the end of the conflict – the tragic night of April 14, 1865 – when President Abraham Lincoln was fatally shot by actor John Wilkes Booth at the Ford Theater. A guided tour examines the beginnings of the nation’s capital as well as its role in the Civil War, and views the White House, the Capitol, the Mall, and the Jefferson and Lincoln memorials. The human cost of the war, as well as its ironies, commands attention of guests on a poignant visit to Arlington National Cemetery, where 285,000 veterans of America’s wars are buried on what had been the estate of General Robert E. Lee. As the tour progresses guests learn how the seeds of discontent grew into secession and war. Visits include the National Museum of Civil War Medicine; Antietam National Battlefields; national cemetery at Gettysburg, Pennsylvania; Harper’s Ferry, Virginia where John Brown’s raid failed in 1859; and other important Civil War sites. 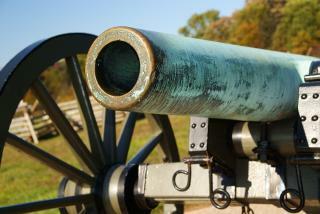 The Civil War was fought in 10,000 places, the majority of them in the South. As armies swept across American farms and burned American towns, private homes became headquarters and hospitals. A look at life at one of those homes in the prewar South begins at Montpelier, the former estate of President James Madison and his wife Dolley. You’ll feel the presence of author, statesman, scientist, and third U.S. President Thomas Jefferson during your guided visit to Monticello. Journey from Charlottesville to Appomattox Court House where town resident Wilmer McLean had moved to escape the tumult of war after the First Battle of Bull Run had raged across his property in 1861. But on April 9, 1865, he was thrust into history when Generals Robert E. Lee and Ulysses S. Grant met in his parlor and agreed to terms which would lead to reunification of the nation – so it could be said that the conflict began in McLean’s backyard and ended in his parlor four years later. The tour ends in Richmond, once the Confederate capital, where you’ll experience Union, Confederate and African-American viewpoints at the American Civil War Center at Historic Tredegar and the Tredegar Iron Works, the Confederacy’s industrial heart.